Lyme Property was set up to offer a network opportunity to Spanish estate agents and International Property brokers. We offer a package that allows the buyer to work from home or office, selling packaged properties to potential clients who have enquired about a specific development. We are unique in that we buy in top quality leads from the leading lead generation companies that advertise specific developments on our behalf. This gives the buyer of the package the best opportunity to sell high income producing assets for a substantial commission return. 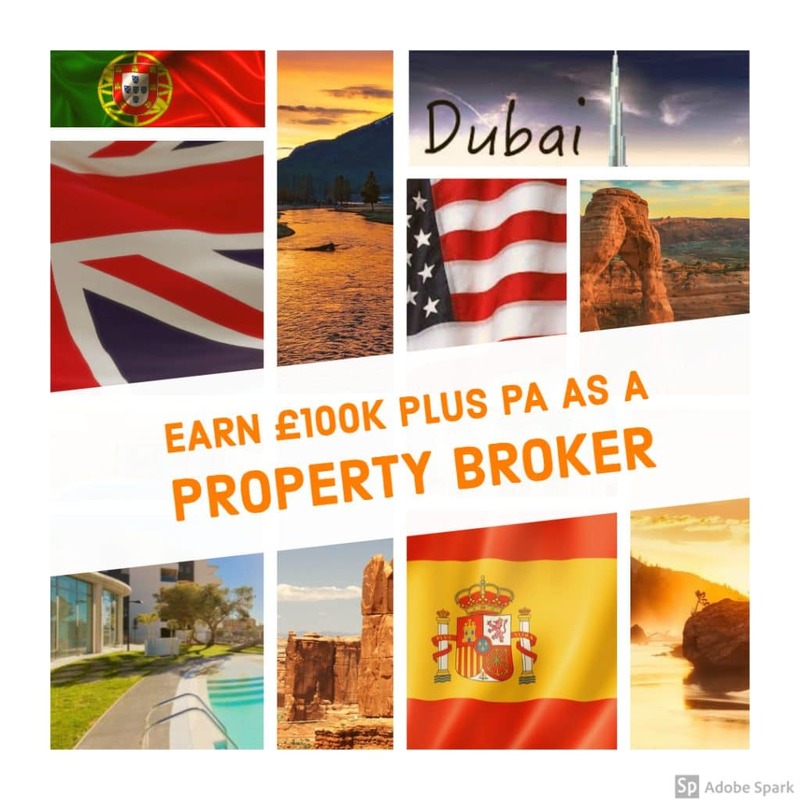 Commissions are generally 5-10% on investments properties and lifestyle properties upto £500,000 so just one deal can generate tens of thousands of pounds/euros/dollars, all done via telephone from the comfort of your own home/ or office. We are connected to several development providing companies that offer us packaged deals which often have assured rental returns from the developer, ensuring a great product for the buyer and a great return for yourself. Once you have decided on the development you want to promote, we ensure there is contact with the developer to go through all aspects of the property so you are fully up to speed, We then advise whichever lead generation company we feel bests suits the development, and arrange for 50-100 leads to be generated. \of course, this is not always possible and some leads may have to be carried forward to another project or lesser leads taken. We promise you a minimum of 100 leads every 90 days, and if you are selling well, we will of course arrange for more leads at no extra cost to yourself. These typically cost us £20-£40 each, sometimes more, which is where the main costs come in. The lead generation company will email their databases, usual google ads, social media and every means possible to bring in leads by putting basic information out to the potential client from who then registers their interest by providing their name, email address and telephone number. We need this to register the client with the developer to stop other agents from stealing the client from us. At that stage you contact the client, usually by telephone but possible also by whattsapp which has become a great way for clients to initially correspond with us. Often when people do not recognize a telephone number they simply will not answer, especially if the number is withheld so whattsapp allows us to connect with the client to explain who we are and the reason for connection. Once spoken to, and after getting a bit of a rapport with the client, an email containing an ebrochure, price lists etc etc is sent to the client for their perusal. A few days later, you then contact the client again to see if they have any questions or want to proceed. It is likely, if they don’t want to proceed that they may be interested in another property or investment., so you must be aware of our other developments, atleast to a basic level. We are much more focused now than we have been in the past, with a lot of training focused on your specific development from the developer so you know every answer. You are free to sell anything in our portfolio, and if we don’t have it, I can usually source it through contacts. It will be a slow process as you increase your database, but in the first ninety days I would expect you to make 3-5 sales. This will depend on the value of the property, with lower priced properties often easier to sell. We have numerous student accommodation deals for instance, that are priced around £60,000 to £100,000. Commission on these are around 7% and your share of the gross commission is 75%. So if you sell one property at lets say the midpoint £80,000 then the gross commission is £80,000 x 7% which is £5,600. Your share of this is £4,200. I have taken the lowest figures, but there is are for instance properties in Finestrat, just behind Benidorm that are €300,000 where we get 8%, and properties in the USA that are US$300,000 where we get upto 10%. So you can see how income can be very significant. We suggest that you start off on the smaller priced properties as you gain confidence, but in the country you prefer to concentrate on if you wanted to focus on country. That was as your database increases you have more chance of selling to the earlier enquirers. Administration is limited, we arrange for most of the paperwork to be complete, normally you just have to arrange for registration forms to be completed and returned, and Anti Money Laundering details, which is usually a utility bill and a copy of passport. More paperwork is required when they purchase with a mortgage, but its mainly a matter of sending on papers to be completed. Access to specialist industry websites. Ongoing training on new products coming to the market. All the support direct from me to succeed. Option to start on your own after one year. A natural, ethical sales drive. Determination to succeed and earning a substantial income. Initially this opportunity can be worked on a part time basis, just a few hours a day as you develop your sales database. We suggest 2-3 months but as you client base increases and sales start to come in, then you can change this should you want to. We find the best times to call are in the afternoon and early evening and so we do not start until 12.00pm until 7pm. Initially, you can work just early evening and the odd Saturday. Sometimes clients can be difficult to contact during the day so some weekend work may be required on occasion. Part 0% finance is an option. Initial payment of £2995 followed by 4 x £500 monthly payment. The commission is reduced to 65% until the full balance is paid, which includes all leads provided during that period.